We welcome cutie Joshua Chan to the house of Christ last Sun 19 Jun. He was baptised together with a few other babies and kids after Sunday mass at about 12.30pm. There were lots of other friends and family members who came to attend the baptism and it was just sweet to see babies getting baptised. Joshua was sounds asleep in his pram when Michelle had to carry him out for the ceremony. But he was a good boy and didn't cry one bit at all. Fr. Michael was doing the baptism that day. Each of the babies/toddlers took turns to get their heads washed by the holy water and anointed by Father, their parents and God parents with the sign of the cross. 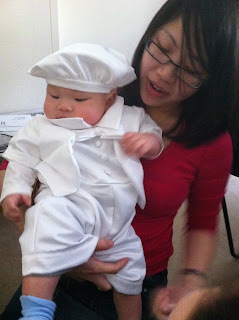 Wearing his baptism clothing bought by Sue and Julius, his God parents. 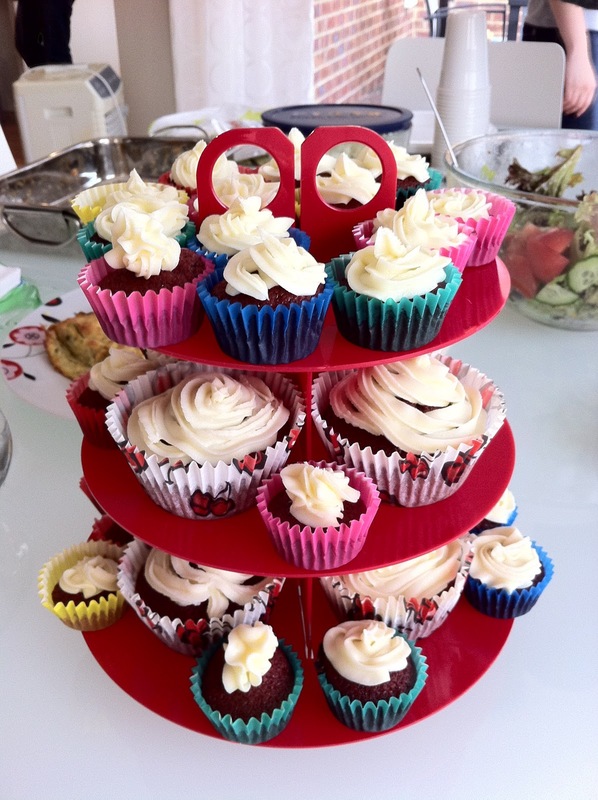 The really pretty and delicious tower of cupcakes that Sue made. 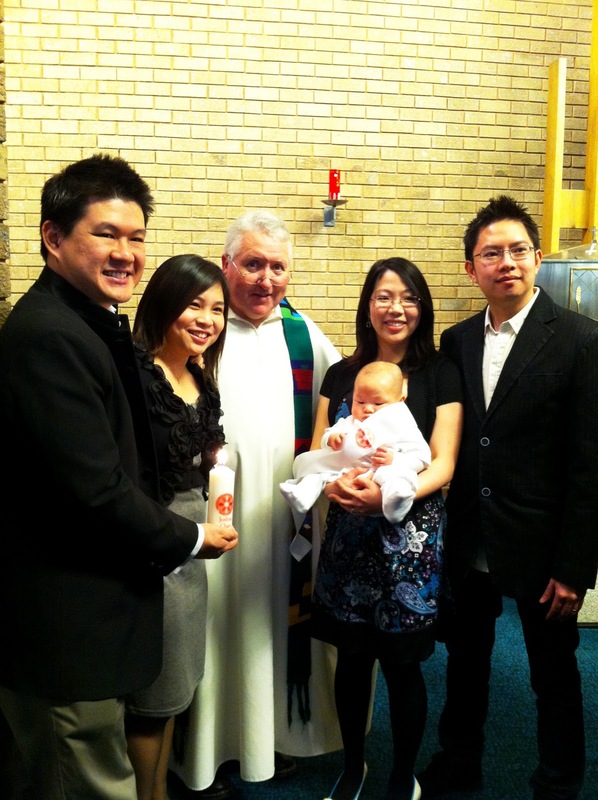 Joshua with his parents on the right and God parents on the left. The ceremony lasted for an hour or so and then everyone headed to Michelle and Jason's place for a celebratory luncheon. Darling went there earlier in the morning to help with the food preparation which he usually likes to do. So there was quite a lot of food, including the pretty cupcakes that Sue made and we probably ate too much as usual. It was such a small world that I indirectly know one of Michelle's colleague's. I found Ingrid really familiar and went to talk to her and found out that we went to the same gym - Fitness First Chadstone TAFE. We both complained about getting a bit ripped off and realised that we both quit at around the same time too. She was telling me about the new Fitness & Aquatic Centre that was opening on East Boundary road early next year and how it should be good to join. First Asian to win a Tennis Grand Slam!